Yannick Martinez, Theo Bos and Moreno Hofland on the stage 2 podium. Theo Bos enjoyed the sweetness of victory more than four months after he claimed his last one [stage 1 of the Ster ZLM Toer] but his win in stage 2 of the Tour of Hainan was mostly a way to overcome the negative feelings he’s gone through after he was denied a start at the Vuelta a España. “My morale went down after what happened at the Vuelta,” Bos told Cyclingnews in Haikou. He was a non starter at Villanova de Arousa in Galicia after a UCI pre-Grand Tour test revealed what his team called “sub-optimal health conditions” on August 24. Under UCI rules, he could have raced but MPCC (Movement for Credible Cycling) regulations impose a break of eight days for any rider whose cortisol level drops below a set level. 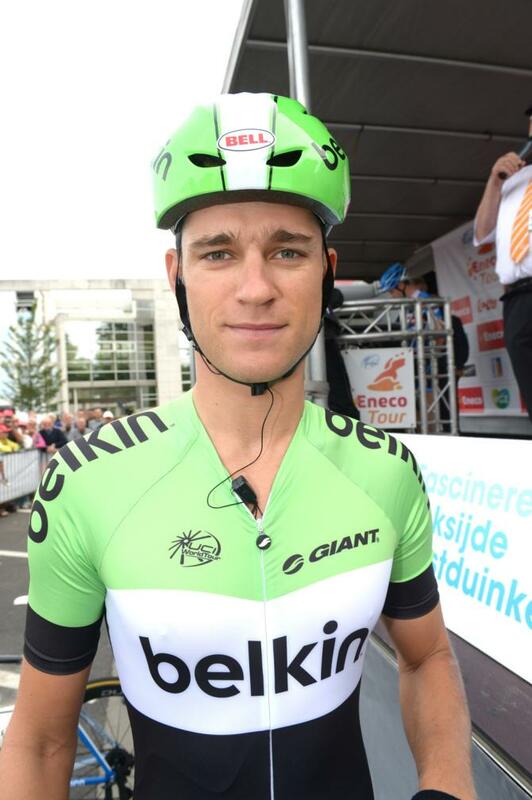 A month later, Belkin Pro Cycling issued a press release in which doctors stated that the problem was caused by asthma medication. “I’m trying to finish the season with a much better feeling than what I went through in September,” added Bos who already has equalled his personal record of seven victories that he set in 2012 after switching from track cycling after the Beijing Olympics. 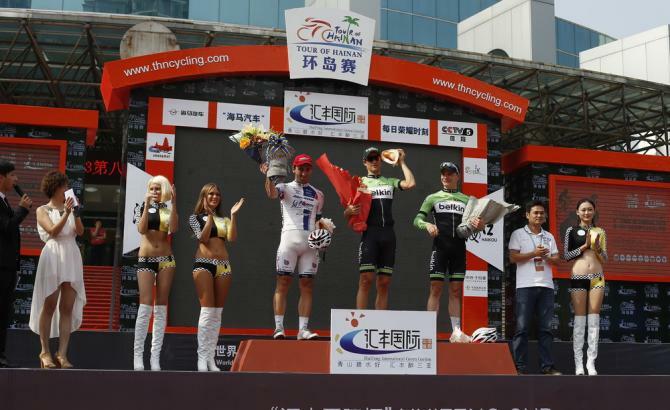 With seven stages remaining in the Tour of Hainan, a reinvigorated Bos might have more to enjoy from cycling in the new chapter he opened when most of his colleagues started their off-season.